Australian X-Up plan is a MLM plan that works same as uni-level plan. In fact it is adulteration of unilevel plan. In Australian X-Up plan, this number of X is called “pass up” sales, which a distributor will pass up to his/her upline. 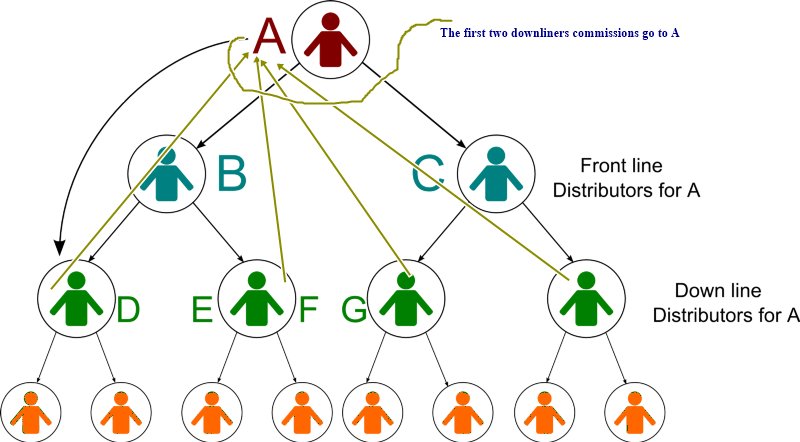 For example, if the plan is “2-up”, a distributor will pass up his/her first 2 sales to his/her upline. Means he/she will not earn any amount on these 2 sales as it will be paid to his/her upline. Now when this distributor will enroll 3rd person, and any person after that, he will get bonus. Now what you should understand is, starting on 3rd person, you will get first 2 enrolls they generate. When 3rd person will enroll his/her 3rd person, he/she will start getting paid, and so on. Australian X-Up plan will pay more amount per sale and it pays distributors infinitely deep. Australian 2-up MLM Compensation Plan? You May As Well Get a Lobotomy!